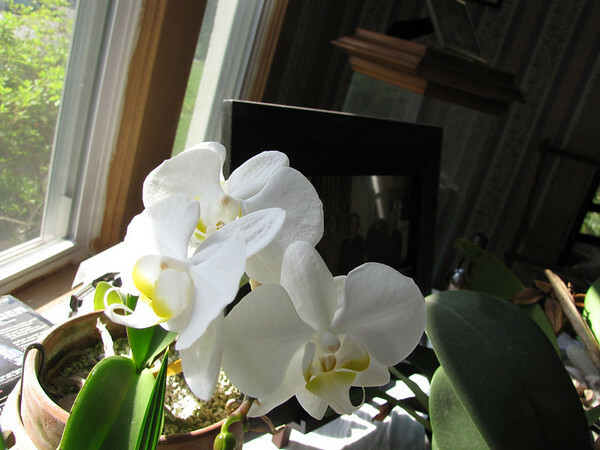 Several years ago I bought two orchids at St. Mark’s church bazaar and met some really nice folks at the Orchid Society. Since then I’ve tried my hand at growing orchids. 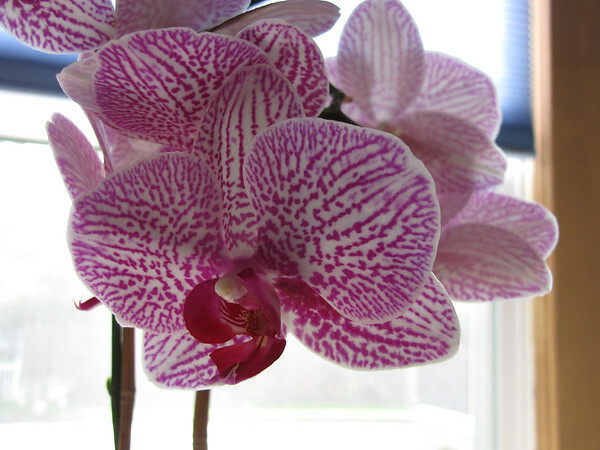 This past winter was quite brutal with the orchids going in and out of the garage for below freezing weather. Three remained inside, one blooming almost continuously since November. Another one bloomed outside but the blooms lasted but ten days. 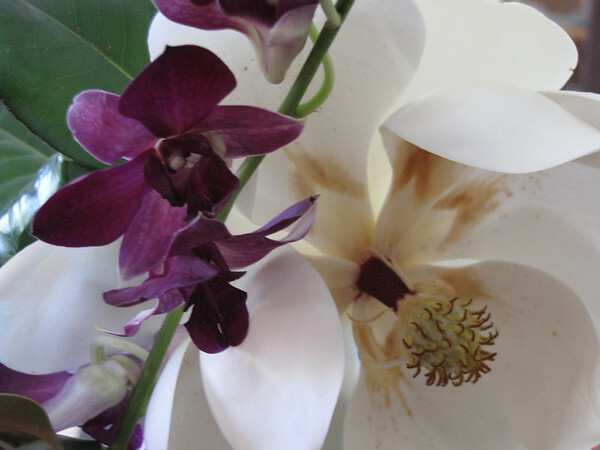 At today’s meeting we were gifted with stems of orchids from a wedding on the previous day. 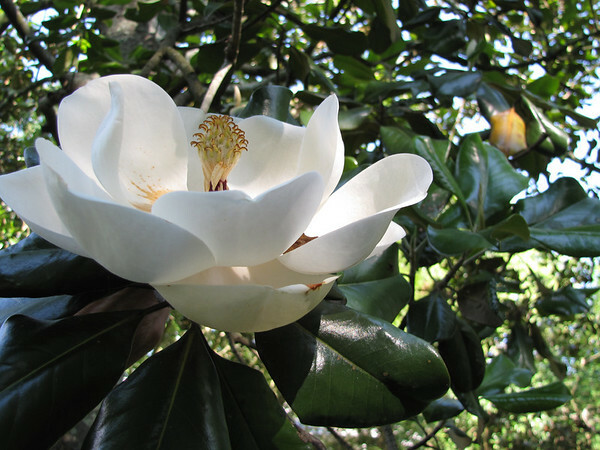 I put them in a milkwhite pebbled vase my younger brother bought for me as a wedding gift–and cut a large magnolia blossom from the tree in my back yard. Fresh flowers are always so delightful.